"Convert your music and videos to MP3 format with MP3 Rocket." Often times when we download music we don't pay attention to the file format that the music is downloading in. But what if the format that you download it in is one in which your computer's media player does not support or cannot understand? You would then need an audio converter. If that sounds like you, you should go ahead and download MP3 Rocket now. 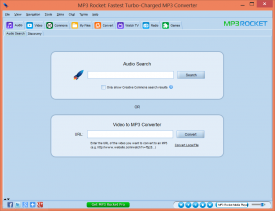 MP3 Rocket is an audio and video converter that can convert almost any song or video to an mp3. The video to mp3 feature is great for when you find and download a video from your favorite site and you would like a standard audio version of the file. Maybe it is a youtube lecture or discussion and you would like to listen to it like a podcast. 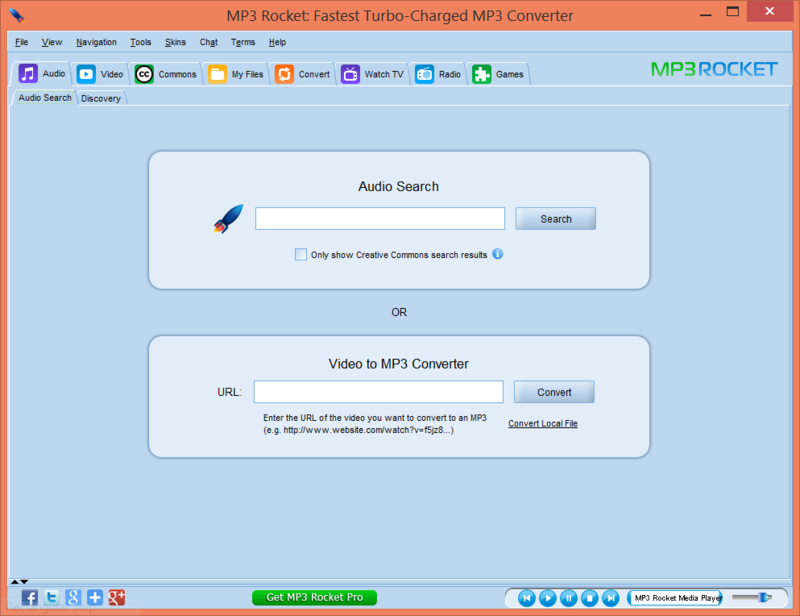 You can do just that by converting the video's file type to mp3 and you can do that with MP3 Rocket. 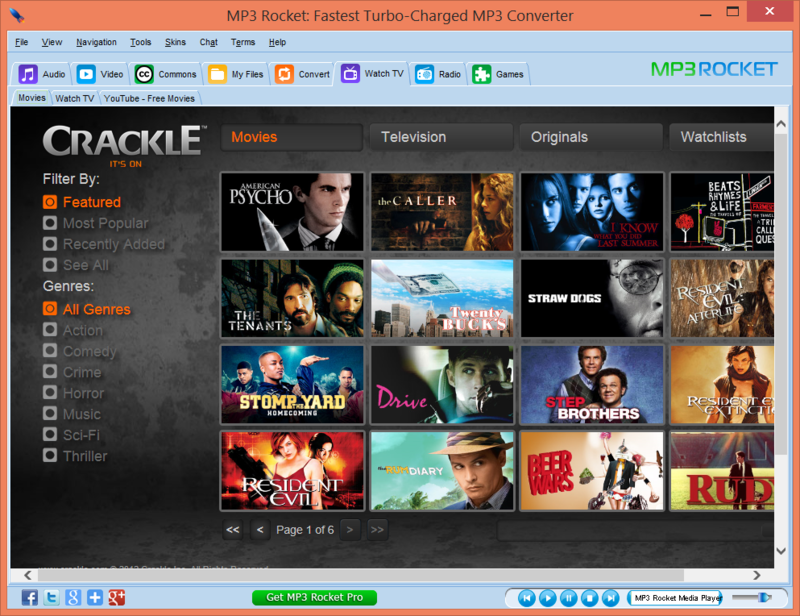 With a download of MP3 Rocket, you also get access to Crackle TV which lets you access hundreds of free TV episodes and movies. You also get access to internet radio and games from hundreds of sources. You can also convert video files to other video file formats, not just mp3. Therefore, MP3 Rocket isn't just an audio converter; it is a key to entertainment. You can get your favorite TV shows, movies, and download your favorite music in the most used audio format in media players today. That makes sure everything will work the right way and with the highest quality.